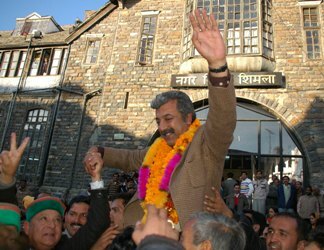 Shimla Deputy Mayor Harish Janartha is ready to fight the upcoming MC elections and eyes the post of Mayor Shimla. 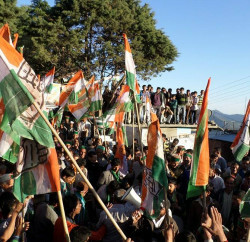 Harish Janartha who was expelled from the party for revolting against congress on being denied the official congress ticket, a consequence that forced Janartha to contest as an independent candidate, managed to become the Deputy Mayor. 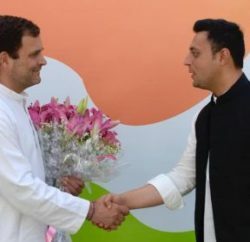 We learn the he is again hoping for a Congress ticket to contest the elections this time around. On being asked the same, Janarth said that he is loyal worker of the Congress party and even after expulsion from the party; he is still working to strengthen it from grass root level. 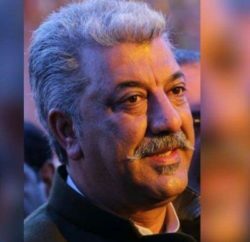 On the ongoing tussle on voter list for the MC election, Harish Janartha alleged that BJP is trying to restrict rights of the common Shimla people as they are wrongfully deleting the names of votes from here, he allege that the Government is threatening people to stick with the Constituency voters list. He said that as per the MC act any Himachali who has been living in shimla for the last 6 month can be a voter in MC and Govt is taking this right from them. Janartha alleged that Govt is wrongfully trying to benefit its candidate in this MC election. He has demanded for the immediate reversal for such activities otherwise Govt will face agitation. Previous PostAngry Farmers march to Vidhan Sabha Next PostA deputation of Panchayat Pradhan of Shimla district meets Chief Minister Prem Kumar Dhumal at Shimla.